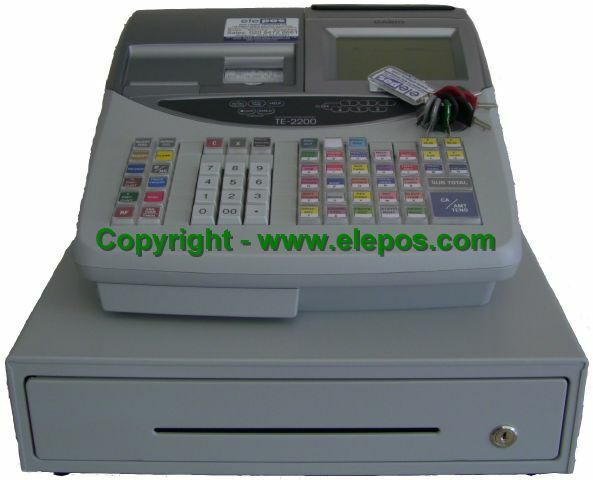 The TE-2200 is a simple yet powerful cash register for retail. It is designed to be easy to use, with drop loading receipt paper, a clear 2-line, 3.7 inch LCD display and help function for explaining common tasks. Very simple to operate, with the ability to program scanning items in REG mode while serving customers. Its best loved feature is its ability to over write products that are no longer being used. Ensuring that you never run out of space. Click the button below to add the Casio TE-2200 Cash Register to your wish list.